the ancient past are recycled. football fans to become producers and editors of football fanzines. become historians of the game and their club. content of football fanzines or not. 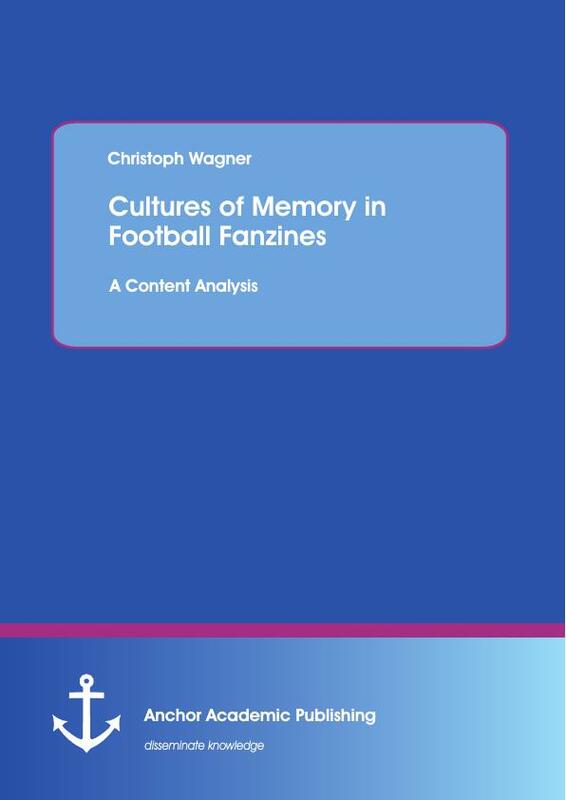 outline the history of fanzines in the time period examined. fanzines and cultures of memory. written at a time when fanzines in football were something new and fashionable. of full-time employment of the editors. political tool in stating that football fanzines can be used as a platform for resistance. motivated resistance against a bias from the national media and the government. together with the FSA form a successful pressure group within the football industry. policy making. That is because the Centre is dependent on public funding. (Jary et. absence of a list of Scottish fanzines, is perhaps unfortunate. has seen better times and a media biased negatively towards fans and supporters. white-collar workers who tend to have a university degree. FA-Cup match against Millwall (Robson:22). researchers is a factor to be paid attention to when looking at the concluded results. But, as Schmidt (2004) conducts, does marketing and the image attributed to St.
deals with a description of what is a true fan, particularly being a fan of St. Pauli FC. For both clubs the locality is of importance. For Millwall it is "the land that time forgot"
most extensively been researched by Bale (1982, 1989, 1993, 1994, 1995 and 2003). A theoretical point of view on football fandom is given by Redhead (1997). are fluid, mutable, dynamic and interactive and that they do not hold still (Harris:3). the articles are hardly suitable for any explanation on football fans. memory, while the second part will deal with theories from sociology.